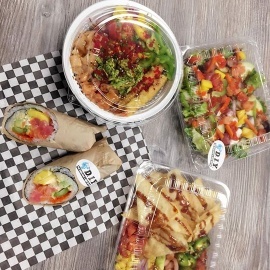 Sushi burrito, fresh salads, rice bowls and nacho. Specializing in fresh fishes, shrimp tempura and eel. More than 20 fresh vegetables and 8 sauces.